How To Hide Your TV In Your Living Room - Perry Hood Properties, Inc.
We’ll admit it — when we walk into a room with a very prominent screen and a remote control within reach, our first instinct is to turn on the TV and veg out. It’s just too convenient not to do. 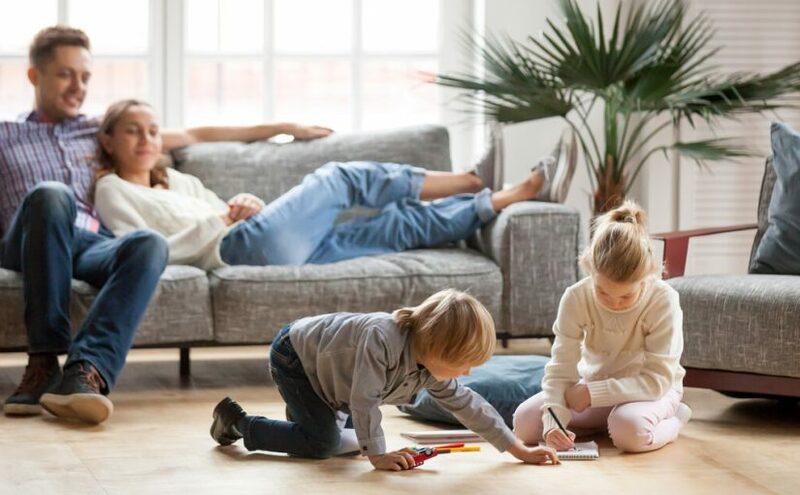 While this feels like the natural activity of the living room, for those wanting to limit their TV viewing, one would need to change their environment. A great way to limit the instance of any habit is to make it less convenient. If your television is begging you to watch it, consider concealing it somehow. In this piece, we’re going to look at a few ways to hide your television when it’s not in use. This first simple option is great for those who are wanting to limit their TV viewing while also wanting to strengthen their geography chops. This method works best with very flat televisions that are very close to the wall. 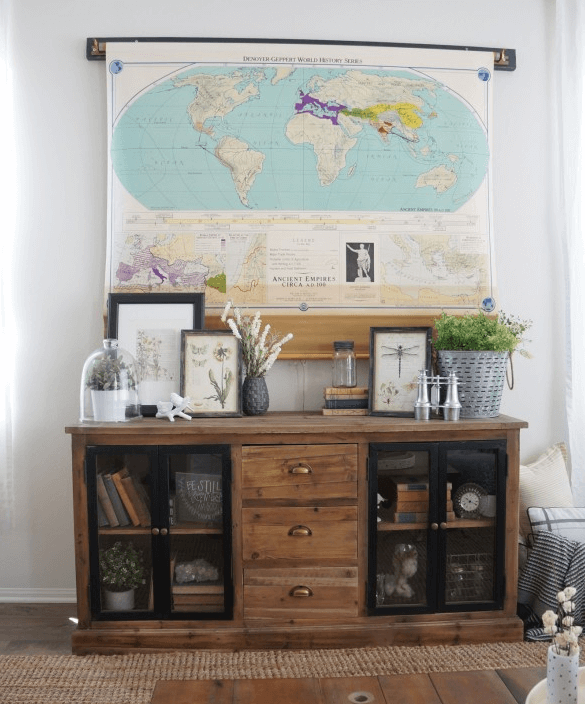 Maps can be found through different classroom supply companies or even looking around antique shops. We’ve all seen the closing entertainment center. While this is effective, most people know what is within the entertainment center cabinet and will be naturally drawn towards it. However, when concealing the television within a cabinet that may serve a different purpose, this can change the room from being “The TV Room” to being “a Living Room That May Happen to Have a TV.” This change may not seem to make much difference at first, but it can ultimately change the feel of the room when the television is not in use. When you don’t wish to enjoy the light or scenery of a window, you draw the curtains closed — why should a television be any different? 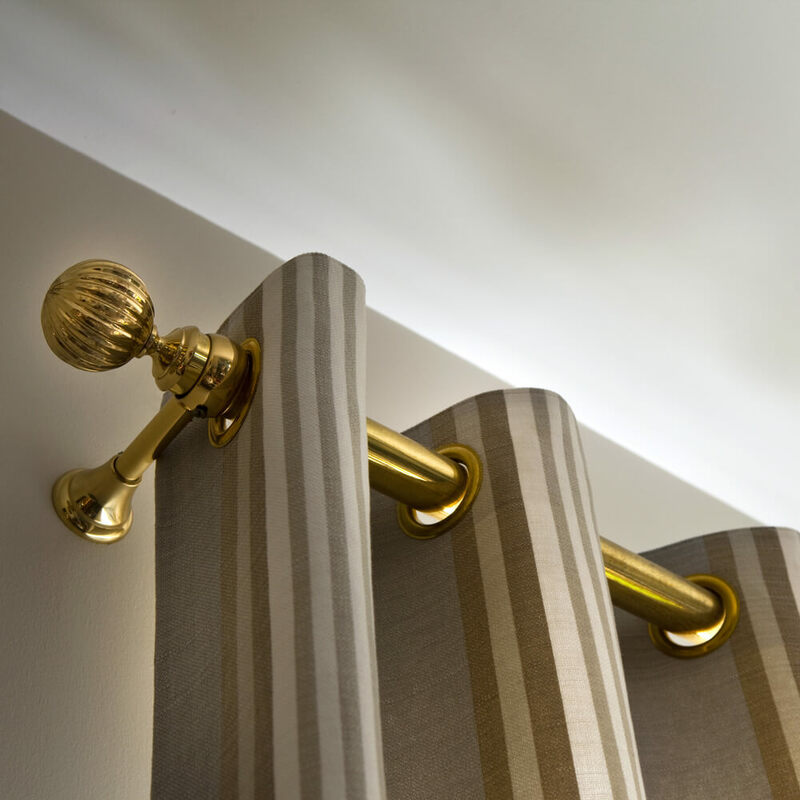 Install a rod above a wall-mounted flat screen television with decorative curtains that split in the center. If you don’t feel like watching or even seeing the television, simply draw the curtains closed. Open the curtains for television-viewing time. You’ll feel like you’re attending the theatre every time you binge your favorite Netflix show. For home shoppers who really want to take their television-stowing to the next level, this may be one of the many attributes of a custom house build to consider. 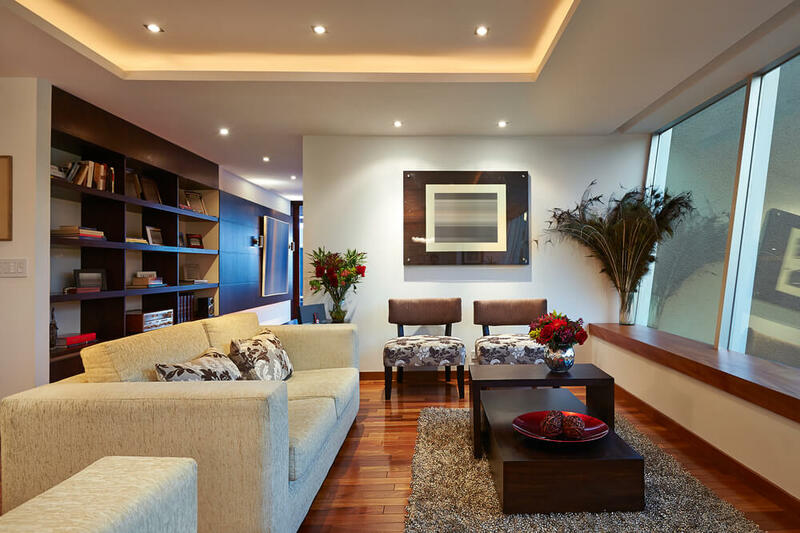 From designing a living room that is conducive to conversation to an all-around design you look forward to coming home to, the home building professionals at Perry Hood Properties can make your dream house a reality. Perry Hood Properties, Inc. reserves the right to modify plans, features, specifications, building products, materials, colors, options and prices without notice or obligation. Product is subject to availability. Optional features as available may be included at additional cost subject to construction cut-off dates. Certain options based on availability/lot size. All square footages are approximate. Model Home representations or furniture, accessories, window and wall treatments, specifically paint colors, built-ins, upgrades and decorator items are not included in the home and may not be available.